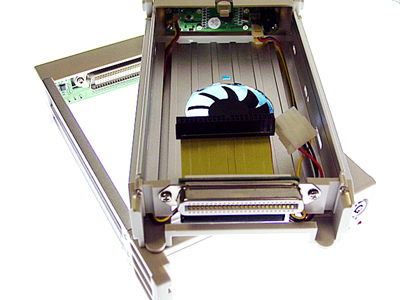 - Bottom fan for effective cooling of high capacity and high speed hard disk. 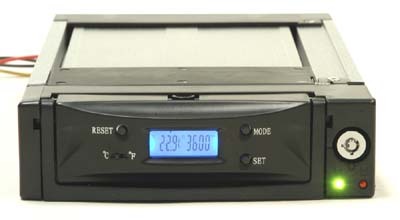 - Automatic fan speed monitoring, protecting fan all the time. - Automatic temperature monitoring, protecting hard disk all the time. - Overheat alarm and low-speed fan alarm system. - Temperature dispaly in either " C " or " F ". - Ruggedized structure and automatic In/Out handle.